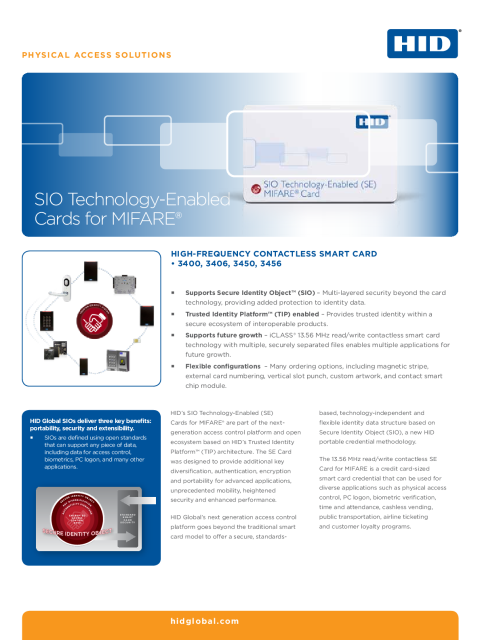 HID's iCLASS® SIO-Enabled (iCLASS® SE™) smart cards with MIFARE® technology are part of the next-generation SIO-enabled access control platform and open ecosystem based on HID's Trusted Identity Platform™ (TIP) architecture. 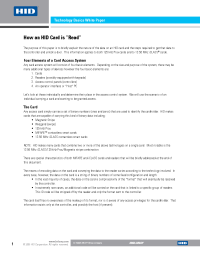 Going beyond the traditional smart card model, HID Global's next generation access control platform offers a secure, standards-based, technology-independent and flexible identity data structure based on Secure Identity Object (SIO), a new HID portable credential methodology. New access control platform that offers secure, standards-based, technology-independent and flexible identity data structure. 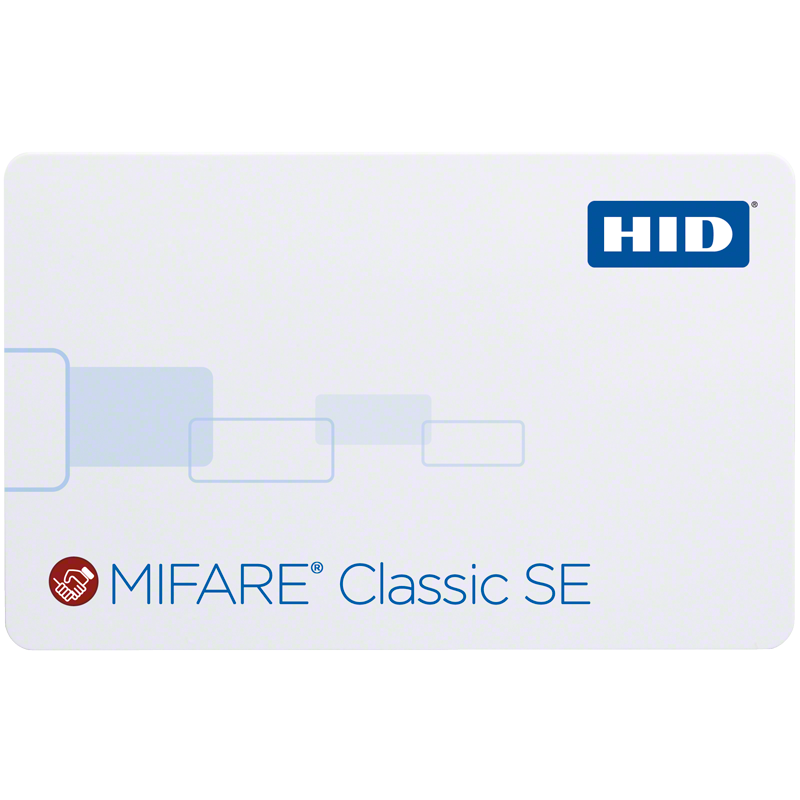 The iCLASS® SE card with MIFARE technology is a 13.56 MHz read/write contactless smart card is a credit card-sized credential that can be used for diverse applications such as physical access control, PC logon, biometric verification, time and attendance, cashless vending, public transportation, airline ticketing and customer loyalty programs.